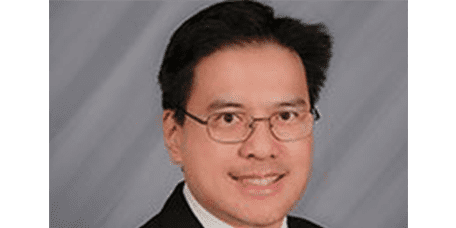 Cosmetic Dentistry Specialist - Torrance, CA: Eugene Y. Yang, DDS: General & Cosmetic Dentist: Eugene Y. Yang, DDS, INC. Cosmetic dentistry includes dental procedures that are used to improve the appearance of your teeth or gums. Whether you want a subtle correction that enhances your smile, or you’re in need of a major repair that fully restores it, cosmetic dental procedures can boost your confidence and improve your oral health. At Eugene Y. Yang, DDS, INC. in Torrance, California, Dr. Eugene Y. Yang provides a full range of cosmetic dental services to patients living in the South Bay area. If you want to learn more about what cosmetic dentistry can do for you, call the office or book your appointment online today. Any dental procedure that aims to improve the appearance of your teeth and gums falls under the umbrella of cosmetic dentistry. Recent advances in dentistry have given cosmetic dentists the skills, techniques, and cutting-edge materials they need to correct almost any perceptible aesthetic flaw or problem. Although these cosmetic procedures are mainly designed to restore the appearance of your smile, they can also help improve your bite and your overall oral health. Arguably the most commonly-requested cosmetic dental service, Dr. Yang uses Zoom in-office teeth whitening treatments to give his patients the white, vibrant smile they’re after. An in-office whitening treatment can leave your teeth up to eight times brighter in less than an hour. Also known as laminates, dental veneers are ultra-thin, custom shells made from either porcelain or composite resin. They’re designed to cover the front side of your teeth, either to restore tooth structure or hide flaws, including permanent stains, chips, and uneven tooth edges. Using a tooth-colored resin material to close gaps, fill cavities, or change tooth color, bonding is most useful for repairing chipped teeth. Porcelain crowns, or caps, are used to restore strength or appearance to a tooth that’s severely worn, cracked, weak, or discolored. Crowns are custom-made in a dental lab so that they match your natural teeth. Which cosmetic treatment option is right for me? When it comes to correcting an oral aesthetic flaw, there are often several different treatment approaches that can effectively address the problem. If you have a chipped tooth, for example, you may be a candidate for veneers, bonding, or a porcelain crown. To determine which approach best meets your specific needs, Dr. Yang performs a comprehensive oral exam and evaluates the condition of your teeth and gums. Based on his assessment, he can provide details on relevant procedures, address any concerns you may have, let you know what kind of results you can expect from each option, and help you choose the treatment that’s best for you.